Amy Taylor Alpers and sister Rachel received their Pilates training in New York City at the original Pilates Studio and were certified as teachers by Romana Kryzanowska, heir to the classical tradition of Joseph Pilates. Today Rachel and Amy are master Pilates teachers and teacher trainers, published authors of the “Everything Pilates Book” and most recently, have partnered with Balanced Body to design CenterLine, the classically inspired Pilates equipment used throughout the studio. Rachel and Amy grew up in Youngstown, Ohio where they began studying ballet at a very young age. Eventually both Rachel’s and Amy’s passion and commitment helped them reach impressive milestones in their ballet careers. Rachel danced professionally with the David Taylor Dance Theatre and with Brent Mason and Company. She was the Director of Dance at the Arvada Center for the Performing Arts and taught ballet in New York City at The Alvin Ailey School. In addition to her dance credentials, Rachel received a B.F.A. from the University of Colorado and a B.A. in Dance from Loretto Heights College in Denver. Amy attended The Julliard School for Dance and later performed with The Garden State Ballet in New Jersey. She received a B.A. in Dance and a M.F.A in Dance History from New York University. Amy also taught ballet at various dance schools in New York City for ten years. Like many New York City dancers in the mid 1980s, both Amy and Rachel found themselves at the Pilates Studio where Romana Kryzanowska was carrying on the work of Joseph Pilates. Little did they realize then that in the following years they would witness the near extinction of Pilates and then play a significant role in the rebirth of the industry as well as becoming an integral part of Pilates history. Pilates is a comprehensive system of exercise that must be taught in its entirety to reap the full benefits envisioned by Joe. Pilates instructors should be knowledgeable about every piece of equipment and their corresponding exercises because they are integrally tied together. The cultivation of a healthy body, mind and spirit can have a profoundly positive effect on the world. April Ingham, a native to Evergreen, Colorado; April is passionate about the outdoors and all it has to offer for those who are physically active. Participating in sports her entire life; from skiing, basketball, tennis and hiking in her youth to triathlons in adulthood, April has an affinity for athleticism, and the happiness it brings to our lives. During her years of triathlon training and long distance cycling, April discovered Pilates as a means of cross training. After two years of Pilates, she discovered how the practice dramatically improved her ability to not only ride and run longer distances, but to also recover more quickly without low back and general muscle fatigue. Pilates has changed her life and body in ways that are vastly different, yet complimentary to endurance and strength training workouts. This is where her enthusiasm for sharing her experience with those who are passionate about their own health and longevity begins. On her off time, April trains with the Boulder Master’s Cycling Team and will plan to race with the Boulder Orthopedics women’s team throughout 2014. April received her Advanced Teacher Training Diploma from The Pilates Center in April of 2011. 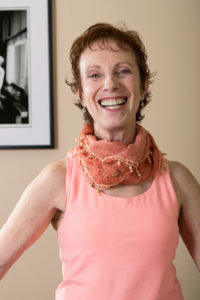 Debora Robinson Kolwey began her movement studies in high school, with yoga, ballet, modern dance and theatre arts. She received her BFA in dance from New York University’s Tisch School of the Arts and upon graduation pursued a career in modern dance, in NYC. In 1982 Debora moved to Boulder Colorado to dance with The Nancy Spanier Dance Co. While teaching fitness at a local gym, she apprenticed with Stephan Frease to become trained in Pilates, and in 1985 opened a small studio in her home. She spent the next few years teaching privately and traveling to study with first generation teachers. Pivotal to her development was an apprenticeship with Eve Gentry. After Eve’s death, Michele Larsson and Debora created the first Core Dynamics workshops to carry on Eve’s legacy. 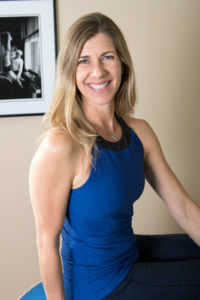 In 1991 Debora joined the teaching staff at The Pilates Center in Boulder, and in 1999 became a Licensed Teacher Trainer for The Pilates Center. Debora is devoted to teaching. She is inspired by this opportunity to explore, with all types of people, that which supports us in becoming more fully human and finding deeper satisfaction in this life. 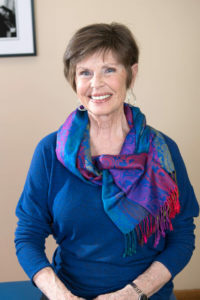 She is influenced from many sources, including a wide variety of movement and alternative healing systems, spiritual philosophies, and her long-time practice of contemplative meditation. 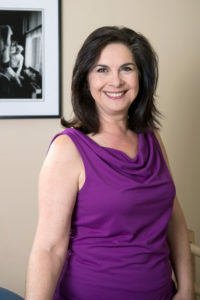 Debora is certified by Eve Gentry, the original Pilates Institute, The Pilates Center (1992), The PMA, and has most recently completed Eric Franklin’s Level I Educator training. Jennifer Downing is a native to Arvada, Colorado. She has been in the fitness industry since 2000 teaching group fitness and personal training. Her love for fitness and movement introduced her to Pilates in 2008. As a practitioner of the method her interest grew and she knew she wanted to share her passion of Pilates by teaching others. Jennifer received her Advanced Teacher Training Diploma from The Pilates Center in 2015 and is currently enrolled in their Master’s Program. She also is a host advisor for The Pilates Center and is PMA certified. Kaile Larson Ziemba received her B.F.A. in Dance from the University of Colorado. She began studying the Pilates method and quickly became hooked. Through Pilates Kaile feels more empowered, stronger and more flexible and is able to approach life and movement with more confidence. Kaile is also a professional dancer and choreographer with Frequent Flyers Productions, a Boulder aerial dance company. Kaile earned her Certificate of Completion from The Pilates Center Teacher Training Program in 2004. Kelli’s unique perspective when teaching Pilates comes from early exposure to the world of fitness and from being a competitive swimmer who was skilled enough to participate in the Jr. Olympics. She discovered classical Pilates in 2002 and became so passionate about the method that she enrolled in The Pilates Center Teacher Training Program. After receiving her diploma in 2005, Kelli began teaching at The Pilates Center where she continues to work as an instructor. 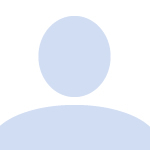 She is a Master’s Program Presenter, Examiner at TPC, and PMA certified. 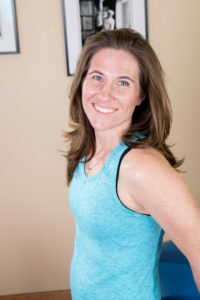 Kelli is the Director of Education for all of The Pilates Center’s educational programs. 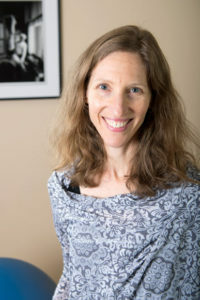 Leah Wecksler earned her a B.A. from Evergreen State College in Olympia, Washington and her Certificate of Completion from The Pilates Center Teacher Training Program in 1999. 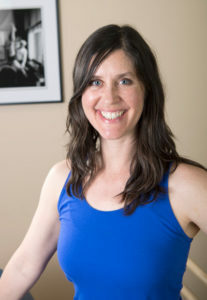 As a dancer, Leah first became interested in Pilates as it applied to dance technique, injury prevention and rehabilitation. Leah’s insight in understanding movement patterns and potentials combined with her excitement for passing this information on inspires her clients to be responsible and in control of their own health and well being. My road to Pilates has been filled with many adventures. From careers in art sales, acting/advertising, playwriting/theater production, cartering/event planning and color consulting, I have learned that the one constant in our lives is our bodies. My own injuries led me to Pilates as a reprieve form pain and a guide to strengthen my body to keep it useful as long as possible. After practicing Pilates for eight years, my hunger for information brought me to The Pilates Center for the Advanced Teacher Training Program in 2007. I continue to learn from remarkable instructors as well as clients with every lesson. The Pilates method has taught me to honor my body and its capabilities. It has recharged me for the next set of adventures in my life. I hope to pass that passion along to those I teach and impact their lives in a healthy helpful way. Sherena is PMA Certified and a graduate from The Pilates Center Advanced Teacher Training Program. Originally from London, England she moved to sunny Florida in 2006 to continue her career as an Account Director in Advertising. After 12 years in the industry she had reached a point of success that was no longer fulfilling and wanted to make her passion for healthy living her career. She loves how empowering and revitalizing Pilates is and how it truly makes a difference to the health of the whole body and the mind. She’s the healthiest, strongest, and most fit she’s ever been due to Pilates and is inspired to share her passion and help others find their best and renewed selves. Yevett graduated from CU Boulder with a degree in French Literature. On her way to a Master’s degree, she became a mom, forever changing her life. 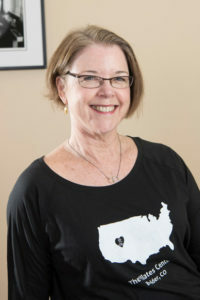 She fell madly in love with her daughters and co- founded their arts integrated elementary school, the Boulder Community School of Integrated Studies, where she volunteered and worked on the steering committee for 10 years to help establish the fledgling school into one of Boulder’s top schools of choice. Yevett discovered Pilates after numerous other modalities failed to heal injuries she suffered in a car accident. The life-altering benefits she achieved through the Pilates Method made her a faithful convert. After 10 years as a client, Yevett decided to pursue a deeper understanding of Pilates both for herself and to share with others. 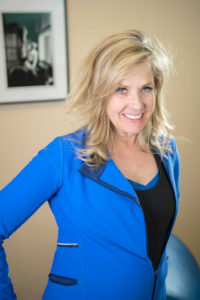 She received her Advanced Teacher Training Diploma from The Pilates Center in Boulder Colorado in October 2010. She now enjoys teaching the classical Pilates Method to help others find strength, flexibility, balance, and a deeper understanding of their own bodies. She strives to create a nurturing, fun, and safe environment to empower others to achieve a greater sense of physical and mental well-being. 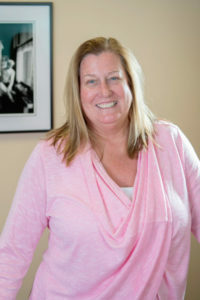 Johna’s background is in management and customer service, having been in the retail industry for 25 years. She loves being around people and making their days a bit easier. Johna has always been involved in fitness, mostly running, and now finds that Pilates is helping with flexibility and core strength.